Renovation for the 1969 functionally obsolete swimming pool included significant modifications to the structure as well as a completely new recirculation system. 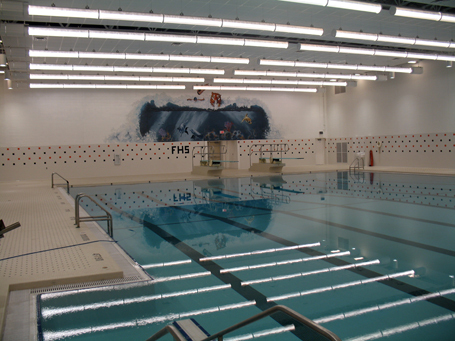 The existing six lane pool was deepened and enlarged to a new eight lane 25-yard competition pool with stair entry and gallery seating. The high school also underwent renovations to expand the fine arts wing and lunch room, and added an auxiliary gym.